Over the past twenty years we have worked with many schools helping children become creative. We are happy to work on a theme of your choice, which fits, into the schools syllabus. Aim Higher qualifications are also very popular with schools wanting to extend their curriculum and offer more creativity to young people. 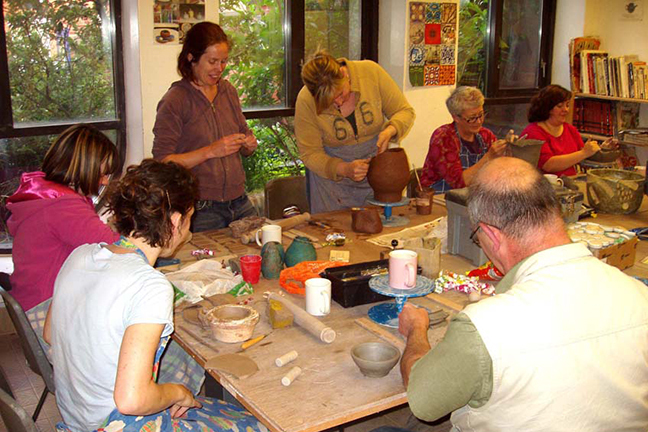 At the pottery we believe it is important to help young people create a piece of work they will be proud of. We believe it is also about the process of having original ideas and learning the skills and techniques that are appropriate to use. Many people who have researched the effects of art on young people believe that art fuels the ability to think in a more innovative and imaginative way rather than just seeing what is in front of us. As Sir Ken Robinson stated Art is as important in education as Mathematics and English and should be developed as a strategic priority. We also run workshops for different community groups. Pottery Parties! Book a Pottery Party for adults, children, your Hen or Stag night, or even at your own house with our mobile parties!